Kuala Lumpur-based B2B startup Supplycart today announced that it has raised a US$2 million Series A funding round from FirstFloor Capital Aucfan Co Ltd and other undisclosed private investors. The funding round followed a US$500,000 seed funding round KK Fund, Cradle Fund and other private investors the company has raised in 2016, when it was first launched. “We have had really great adoption and growth the past two years. Our early stage investors KK Fund have been really supportive when working with us and with the new funds together with FirstFloor Capital would allow us to extend our offerings to more businesses throughout Malaysia and ultimately a major player in the procurement platform in Southeast Asia region,” said Supplycart CEO & Co-Founder Jonathan Oh in a press statement. In an email to e27, Oh explained in detail what the company plans to do with the new funding. “We are looking to use the funds to scale our service to more and more corporate clients and vendors. By developing our product, increase our brand awareness, and establishing Supplycart as a regional company. We intend to start with Malaysia being a launchpad and head towards our mission on expanding in the Southeast Asia region. Building a team and infrastructure to sustain the growth in the future would be a constant plan to work on with this new round,” he explained. Supplycart offers an on-demand supply delivery company, helping customers to book and manage office supplies from stationary to office chairs. It named Grab, Ecoworld, Unilever, and Feruni as clients. The startup was founded by the team behind artisanal grocery delivery service Freshcart, with the goal to expand its corporate customer base. “In 2018, we are targeting to grow revenue by 2x from our previous year and increase our clientele across Malaysia. A key mission for us would be increasing exposure using different channels to reach out to more and new clients. 2018 would be year to enhance and develop Supplycart platform further. We intend to invest in its sales, marketing and product development teams,” Oh closed. 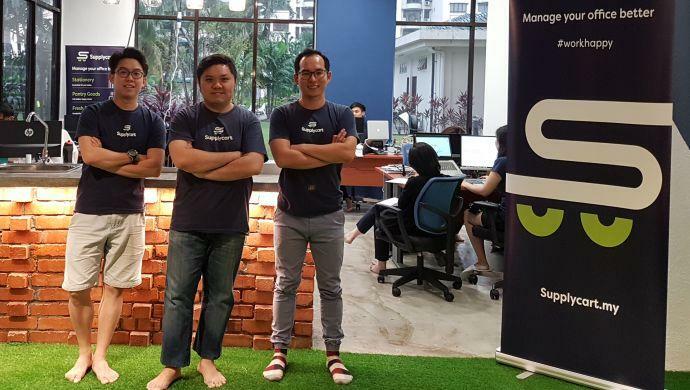 The post Malaysia’s Supplycart raises US$2M in Series A funding round appeared first on e27.